Log into your Elegant Themes dashboard and click on the Account tab. Add your Elegant Themes username and API key and save the settings. Once you have entered your username and API into the Divi Theme options update tab be able to see update notifications and make updates to your Divi theme from within the WordPress dashboard. Bugs in the Divi Theme code are fixed. Security vulnerabilities are patched making your site safe. 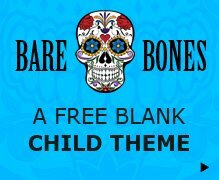 New theme features are added. Divi is getting regular updates from the team at Elegant Themes and it is usually a mix of bug fixes and new or improved features. Unless you actually need these new or improved features you don’t necessarily have to update Divi. Occasionally however, there will be a security update which is something that should always be made as it fixes issues that could lead to your site being hacked, which none of us want. It is a fact of WordPress life that sometime thing break and your newly updated Divi site is no exception. Whilst Elegant Themes do their very best to ensure compatibility with any Divi updates and the gazillion WordPress plugins, hosting set-ups and customized code that may interact with the Divi Theme, sometimes after an update things can break. The good news is that Elegant Themes have added an update rollback feature that allows you to restore the previous version of Divi prior to your update. Even with a handy rollback option, it is always best to have a backup of your website ready to restore if anything goes wrong (and the rollback option also fails you). By using any of the many free WordPress backup plugin you can sleep easy knowing that your site is not one fault way from disaster. I use the free version of Updarft plus to backup most of my sites in a Dropbox account. It’s very easy to set up and restore when needed, but give it a test run before you NEED to! Before Divi version 2.7 updates were made either manually or by using the Elegant Themes Updater Plugin. If you happen to be using an old version of Divi 2.7 or older and want to update the theme the Updater plugin will add Username and API fields into the WordPress General Settings area. 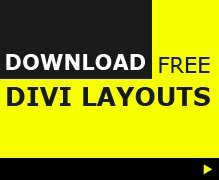 After you have updated Divi to a Divi version above 2.7 you can then delete the plugin and use the theme options method from the start of this post. As before remember to make a backup of your site and/or clone your site and update that first.